Launch of the New!! Refer Your Friends Email Platform! “Xtreme Healthy Lifestyles” Announces our Refer a Friend Email Platform. When you log into your back office down on the left side of the black tabs. You will see a tab that says Refer a Friend! Click the tab and you will see two sets of boxes in the top center of the page. Where is says Friend 1, put the name of the person that you want email. Now, next to that put the email address for friend 1. You can always copy and paste the email address for accuracy. You can send up to five at a time. It will send a professional letter with our 3-Minute business overview and a link to your web site. This a great way to contact your business contacts, family members and friends. To understand how it works you can always put your name and email in friend 1 position and send yourself the email to see how it works and how easy it is. This is a great way to get started contacting people in a very professional way to peek their interest in Xtreme Healthy Lifestyles! Xtreme Healthy Lifestyles Mission to Help our Community! 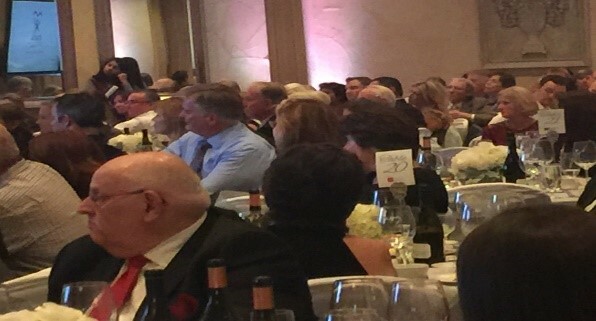 “Laurie and I had the opportunity to be part of an amazing event last night. Representing Xtreme Healthy Lifestyles and donating some of our amazing products for their auction. A fundraiser for (CASA) This Nonprofit Advocates for hundreds of foster children each year. What a remarkable event that absolutely touched the hearts of everyone attending. The “CASA” Program… CASA volunteers advocate one-on-one for abused and neglected children and youth in foster care to make sure they do not get lost in the over-burdened legal system or languish in an inappropriate placement. They are their voice in court and speak up for the child or youth’s best interests during the dependency process. Volunteers help reduce delays and continuances and stay with each case until it is closed and the child or youth is placed in a safe, permanent home. CASA volunteers visit weekly with the child or youth, and maintain ongoing communication with all parties involved in the case to best serve the child or youth’s interests. For the volunteer, this means a commitment of a minimum of two years and an average of 15-20 hours per month of service. 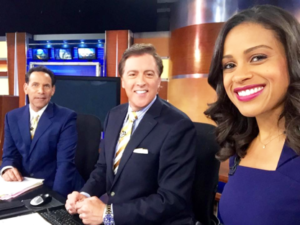 Xtreme Healthy lifestyles had the opportunity to donate to this worthy cause, and in turn will have a chance to enjoy a private Behind the Scenes Tour of the ABC7 Studios in San Francisco for six people guided by Evening of Promise host and CASA Board Member, Dan Ashley himself. After the tour, you will be front and center for a live taping of the 5 o’clock news! I am so excited to have an opportunity to meet Dan Ashley and let him know about Xtreme Healthy Lifestyles and our Company’s dedication to the fight against Obesity and Diabetes. Launch of the New Large Event Banners and Table Top Banners! “Xtreme Healthy Lifestyles” Announces the perfect addition to you 90 Day Challenge Launch Party. What a better way to launch or promote your “Xtreme Healthy Lifestyles Business” with professional looking banners that will make a statement at any event. Whether you have these beautiful large banners in the back ground on the smaller ones at an event table. You are sure to catch someone’s eye that is going to say tell me about Xtreme Healthy Lifestyles!! Business always starts with a simple conversation about something. Why not have them talking about your company! Click Here to Download descriptive Banner PDF! Launch of the New Updated U.S. Map for the Leadership Of Our Company. 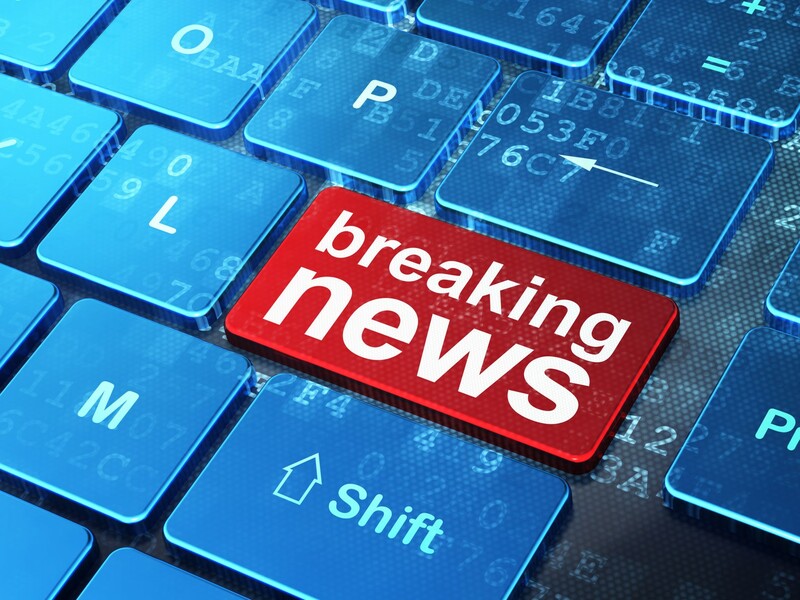 “Xtreme Healthy Lifestyles” Announces our Updated U.S. Map!! You can now look at all our amazing leaders across this country. Just simply go to the “Get Paid to Share Page” and drop down to the XHL Expansion Map for our U.S. Market and simply click the box! That will pull up a map, simple hover over any of the red dots and the name of the person and their executive level will show. Click the Dot and it will take you right to their site. This is a great way for new people looking at our business and website for the first time to be able to find someone close to them to work with. This is also a way for our existing distributors to find other people to work with all over the Country! Once you promote out to the level of the Executive Coordinator. Drop us and email and send us your picture!! We will put you up on the leadership map. Launch of the New 3-Minute Business Overview Video! “Xtreme Healthy Lifestyles” Announces our 3-Minute Business Introduction Video! Have you ever want to get someone attention and say exactly the right thing! This Video makes it so simple to tell anyone about this amazing company. Xtreme Healthy Lifestyles has the “World’s First Scientifically Smart Coffee” and has positioned itself to take advantage of one of the fastest growing industries in the world, “The Coffee Industry.” Did you know that coffee is the second largest traded commodity in the world next to oil? This company’s Executive Team, led by President/CEO Michael Babcock, has partnered up with long-time friend and business associate, “World-Renowned Scientist”, Dr. Ann de Wees Allen. Dr. Allen leads the industry with over 30 years of her cutting-edge science that has created an amazing line of innovative, healthy products which help people burn fat, through a simplistic delivery process of doing things we do every day like drinking coffee. The last time Mike Babcock and Dr. Allen worked together they generated over $60 Million in sales in a little over Five years. 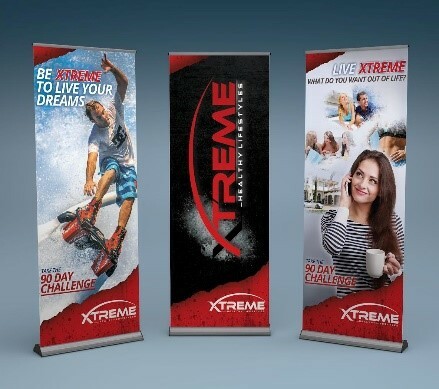 Xtreme Healthy Lifestyles has broken over $1 million in sales, but is still in our Pre-Launch Phase! Since you are the first in our leadership group you know what is about to happen with these amazing products. You are all in at the ground floor. Get Started Today! You can get in now, and reserve you place before we go completely vertical into 2018 with explosive growth. Our Business Model is so simple! Do you drink coffee or know anyone that drinks coffee? Want to get in better shape and Burn Some Fat by Drinking Coffee? How about Make Money for sharing! What could be any Easier? Launch of the New Contest!! Buy 3 and Get the Fourth one for FREE! “This New Contest runs for 5 Weeks” Buy 3 and Get the Fourth one for FREE! Buy any one of the new Intensified Peach Mango or Pineapple Splash Combination Packages! Buy 3 boxes and get the fourth box for FREE! Also, every time you purchase one of the special combinations packages, your name goes into a ”Drawing to win $1000.00”. Buy 1 pack, and get your name in once. Buy 2 packs, and get your name in twice. And So ON!!!! This is the first time in history we will be discounting the New Intensified Peach Mango and Pineapple Splash!! You can enter all 3 Contests at the same time!! You Must be Qualified, with 100 PV for the Months of September and October to Win!! Launch of the New Contest!! New Affiliate Business Builders Contest! “This New Contest runs for 5 Weeks” This is a way to build a huge team right away and make lots of extra Money!! Sponsor 2 New Affiliates that join with a challenge pack and earn an additional $50.00, Sponsor the 3rd with a total of 3 and get another $100.00 for a total of $150.00, Sponsor the 4th with a total of 4 and get another $100.00 for a total of $250.00 Help each of them get there 3 for a new team total of 12 affiliates and earn an “Additional $1500.00” You can enter all 3 Contests at the same time!! You Must be Qualified, with 100 PV for the Months of September and October to Win!! Launch of the New Contest!! New Customer Contest! Builders Contest! “This New Contest runs for 5 Weeks” This is a way to build a huge customer base of residual income! Get New Customers at Regular Prices of the Skinny Genes Java™, SkinnyGenex™ Peach Mango, Pineapple Splash, or the Tri-Matrix MD™ and you can earn BIG CASH!! Get 3 new customers earn $50.00, Get 6 new customers earn $250.00, Get 10 new Customers earn $500.00 You can enter all 3 Contests at the same time!! You Must be Qualified, with 100 PV for the Months of September and October to Win!! New Addition to Our Xtreme Medical Advisory Board, Dr. Laurie Bulkeley. Dr. Laurie Bulkeley, DVM has joined our Xtreme Healthy Lifestyles Medical Advisory Board Team. Dr. Bulkeley brings an extensive background to Xtreme Healthy Lifestyles core company’s mission statement of living a complete Healthy Lifestyle. As a State Board Certified Veterinarian, Dr. Laurie Bulkeley brings a comprehensive approach to health and wellness in the human and animal medical community. Dr. Bulkeley is the Chief Veterinarian and Surgeon at Yolo Veterinary Clinic. She practices medicine full time as well as managing a team of Veterinarians and Technicians, and has run a multi-million dollar business for over 20 years. In this role, she has provided medical advice and training in health and wellness as well as disease prevention and treatment for the staff, veterinary students and technicians propelling her hospital to one of the most successful in the area.